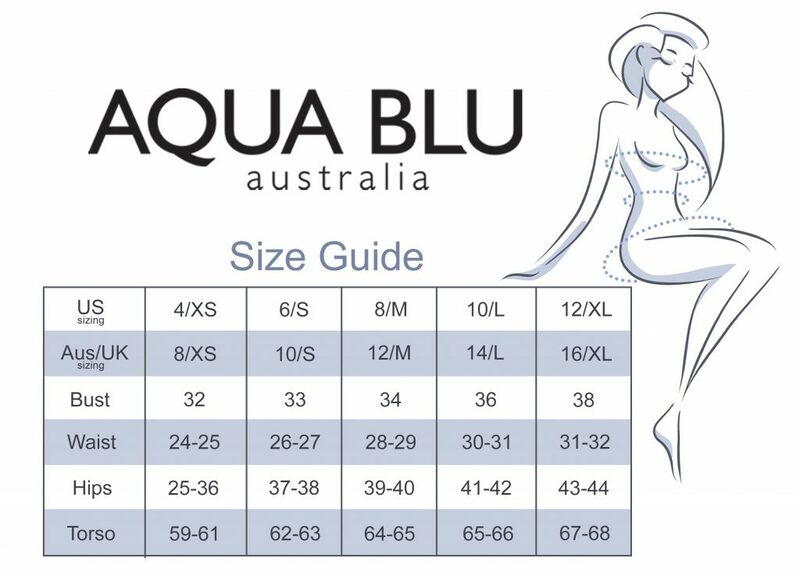 Aqua Blu’s Infinity D Cup Cross Back Bralette bikini top. Provides ultimate support as well as comfort without compromising style. Plunging V neckline and double shoulder straps. Fixed triangle top that offers full coverage. Includes removable soft cups. Adjustable sliders on all straps create the perfect fit for any bust size. Fully lined. Mix and match with Aqua Blu bottoms: Infinity Classic Brief Bottom and Infinity Frill Pant Bottom. Also in this collection: Reflections One Piece as well as Goddess Dress.